FEED and Shinola have come together to fight hunger in Detroit. Our designers collaborated on two quality canvas bags with beautiful leather detailing. Each one provides 100 meals to families in Detroit when sold, through the city’s only food rescue organization, Forgotten Harvest. As a company with a like-minded mission to create quality products that make the world a better place, we have been fans (and loyal customers) of Shinola for a long time, and were thrilled when this collaboration came to fruition. Founded in 2011, Shinola was conceived with the belief that products should be well made and built to last. As makers of modern watches, bicycles, journals and leather goods, Shinola stands for skill at scale, the preservation of craft and the beauty of industry. We recently sat down with Shinola’s CMO, Bridget Russo, to get a more in-depth understanding of the brand’s rich history and a behind-the-scenes tour of Shinola headquarters. For our customers who are new to Shinola, give us snapshot of your history as a brand, and the context of your founding. Why Detroit? We’re a Detroit-based company dedicated to creating world-class manufacturing jobs in America. We offer watches, bicycles, leather goods and journals of the highest quality that are built to last. Today we employ over 500 people, 200 of whom are in manufacturing. We chose Detroit because of its rich manufacturing history and skilled workforce. You’ve emerged over the years as a leader in retail using beautiful and quality design as a tool to rebuild communities. Can you talk about your values as a company? What are you most proud of? Quality and Craftsmanship are paramount at Shinola. What many people don’t realize is that we were originally an old shoe-shine brand, made popular in the 1950’s, but since then we’ve done a lot of reimagining. We’ve since evolved into a modern American design brand, which was really put on the map by the watch factory we built in the storied city of Detroit. We offer products with purpose—quality goods that create quality American jobs. Our stores are the embodiment of the brand. Beautiful design is both an expression of the brand and comes out in the personality of our building and the city we are in. We view our stores as community centers, offering fun experiences from partnerships with local makers and community organizations, such as Creative Mornings and Write a House, to workshops on drawing and flower design. Location seems to be central to the Shinola story. Tell us about significance of your HQ - both the city and the specific building. We transformed 30,000 square feet of raw space into a state-of-the-art watch factory inside the College for Creative Studies, within the historic Argonaut building. As far as we know, it’s the only factory/company with its HQ located within a college. In addition to the watch factory, we have also expanded into a leather factory and design studio—all under the same roof. We make the majority of our watch straps in the leather factory, as well as some of our small leather goods. Detroit as a city is at the heart of our brand. As we build capacity, we will continue to look to cities like Detroit that are in need of jobs. How many people work in the factory? And what do those jobs look like? About 250 work in the factory. Jobs are everything from design to quality control to movement to watch assembly. Do you have any statistics or stories on how Shinola has made a difference on a local level? And on a national level? We know that we have created over 500 jobs, which we hope contributes to the revitalization of this great city we call home. We have also contributed to the building of a dog park and green alleys near our Detroit Flagship. In addition, we partner with organizations in Detroit as well as cities where we have stores, to support local initiatives such as the Michigan Humane Society, Write A House, The Empowerment Plan in Detroit and Dog Tag Bakery, as well as the DC Kitchen in DC. What was exciting to you about partnering with FEED? What about the brands' stories and values overlap? I’ve admired FEED for a long time, and it’s exciting to benefit a Detroit-based organization for the first time with Forgotten Harvest. 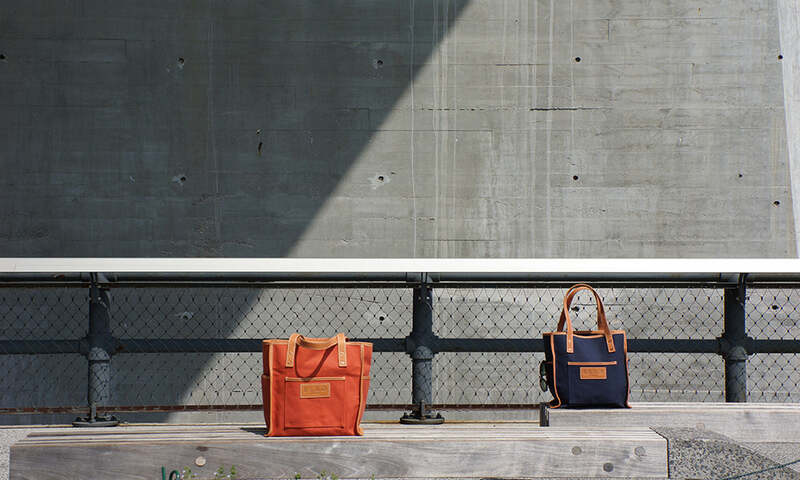 Shop the story below to be the first to own a FEED + Shinola tote from our limited-edition collaboration.